sorry but you have made a mistake this vehicle does not have 1:7 foam capability and is now the efad training vehicle based at the driving school at seaford fire station. 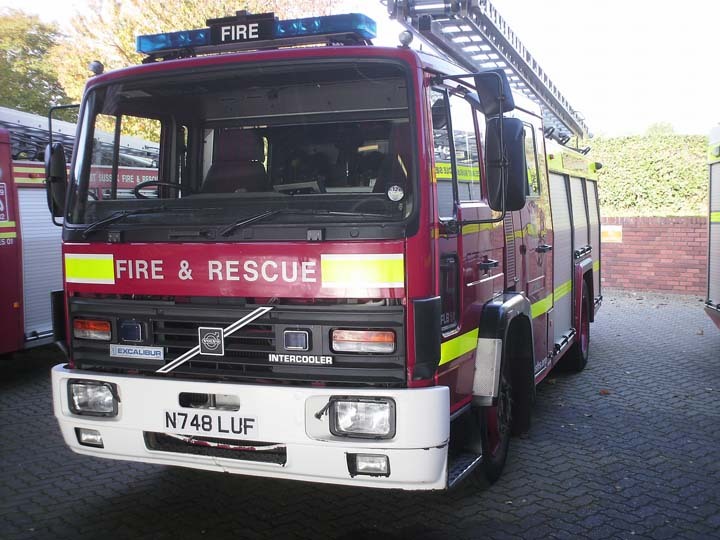 This appliance is now no longer in service with ESF&RS and it;s location is unknown. Added by John on 20 June 2011. Hi Harvey!How come, that you wright the oneseven foamsystem with numbers? Added by Anders Fallström on 03 January 2015.